Search "vermiculite" 127 results have been found. 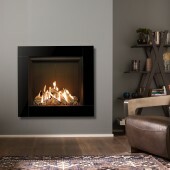 The Gazco Icon XS gas fire adds a black glass frame composed of four geometrically placed glass pieces. 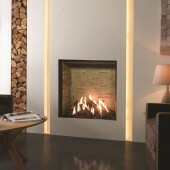 Amplifying the fire’s presence, this chic framing option makes a strikingly contemporary statement in any setting. 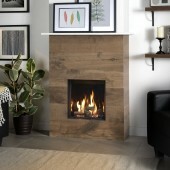 The Gazco Riva2 400 can be installed without a frame as an Edge fire and is suitable for standard 16” fireplace openings thanks to its compact proportions. The Riva2 400 gas fire comes with a Programmable thermostatic remote control to give you complete control over your fire.